Grindr users can rest easy. The US government has made users of the world’s most popular dating app for gay, bi, trans, and queer people safe from potential blackmail by the Communist Party of China (CPC). Late last month the Committee on Foreign Investment in the US (CFIUS) demanded that Beijing Kunlun Tech, a global gaming and technology company and the current owner of Grindr, divest the mobile app unit in a fire sale. US officials cited concerns that sensitive information collected by the app — HIV status, sexual orientation, age — could compromise Grindr users (some of whom are government and military officials or have civilian security clearance), possibly even making them vulnerable to “cold pitches” by the Chinese government to spy on the United States. The Grindr case is just one of a number of recent geopolitical tussles over digital technology. Both the California and the New York state pension funds are facing pressure from the Senate Foreign Relations Committee to divest from Hikvision, the world’s largest surveillance company. The Hangzhou-based firm is in the spotlight over reports that it is a leading supplier to China’s “vocational education training centers” in the country’s Xinjiang region, where an estimated 1 million Uighurs are being confined. Emerging market funds at Goldman Sachs, Fidelity, Fullerton Global, and a number of other investment banks have already pulled their money from Hikvision, but American officials are having less luck in their campaign to delegitimize another Chinese powerhouse: Huawei. The world’s largest telecoms equipment manufacturer by market share, Huawei is a major global provider of 5G technology. It is also, critics contend, working arm in arm with the CPC, making any government or country that uses its equipment vulnerable to China’s prying eyes. In late 2018, the Canadian government, after being pressed by the United States, arrested Meng Wanzhou, Huawei’s chief financial officer, on charges of violating American sanctions against Iran. She remains under house arrest at her Vancouver mansion awaiting extradition to the United States. The Trump administration has also threatened repercussions for European countries looking to modernize their telecoms infrastructure with Huawei tech, while Massachusetts Institute of Technology, a major recipient of government funding, recently cut ties with Huawei. Nonetheless, the Shenzhen-based company earned a record $9 billion in profits last year and increased its revenue in every region of the world. Some observers of the recent CFIUS maneuvers view them instrumentally, as part of the broader tariff war between the Trump and Xi administrations. Other more classical hawks, including US trade representative Robert Lighthizer, argue that American officials must wake up to the geopolitical perils in a world where the United States is no longer the unrivaled leader of the digital sphere. Regardless of the exact reasons behind recent CFIUS decisions, the mounting geopolitical tension over technology is yet another manifestation of the chaotic and uncertain reorganization resulting from the global crisis of neoliberalism. Battles over the digital future reflect the struggle of US elites, currently led by Trump, to rewrite the rules of global capitalism to suit shifting political priorities at home amid widespread disenchantment with the Third Way status quo. China is now the biggest economy in the world (as measured by purchasing power parity), with 19 percent of global output. This doesn’t mean the United States is fading away or that we’ll see a return to the seventeenth century, with Europe a speck on the global economic map. The US still boasts the world’s largest economy measured by market exchange value, and the per-capita income gap between China, India, and the West remains quite large. But what is solidifying is a powerful new center of power in a deeply integrated global economy. China has become a driving force of commercial and economic expansion, particularly in the emergent digital realm. The upshot is that conversations and concerns about digital technology and the role of smartphones, apps, personal data, algorithms, etc. have been resituated on a proverbial geopolitical chessboard. Conversations and concerns about the power of tech companies and governments to shape the emergent digital landscape are reconfigured as pieces in a global contest of national security and economic and military hegemony. This tendency is strongest in the United States, whose power rests in large part on its military — its sprawling network of military bases and, increasingly, its ability to conduct “ubiquitous mass surveillance” on a global scale. In rewriting questions about the future of digital tech as questions of national security, the US government gains even more power to control the direction of the digital realm. So while we may feel safer in the notion that US intelligence forces are protecting Grindr users from potential spying by foreign ne’er-do-wells, the recasting of technology issues as national security issues can be deeply disempowering in the struggle for a true digital commons. 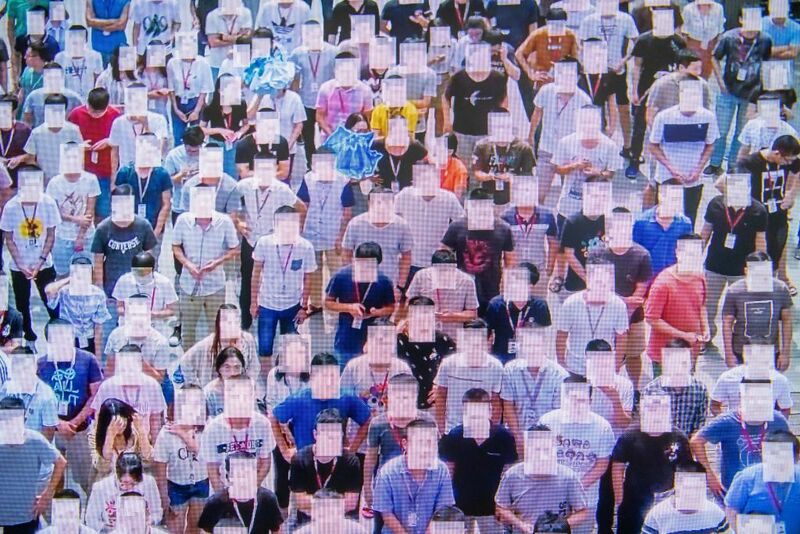 Both China and the United States are constructing surveillance states on an unprecedented scale, with horrifying implications. Both empower modern-day monopolies whose platforms, hardware, software, and apps are the infrastructure of modern political, economic, and social life — infrastructure that is not subject to democratic control. But a progressive vision is impossible without democratic control over the digital sphere. It’s time to get in the game.